"Icasa" redirects here. For the Brazilian association football club, see Associação Desportiva Recreativa e Cultural Icasa. The Independent Communications Authority of South Africa (ICASA) is an independent regulatory body of the South African government, established in 2000 by the ICASA Act to regulate both the telecommunications and broadcasting sectors in the public interest. Traditionally, telecommunications and broadcasting services operated separately and so has the regulation of the sectors. Broadcasting in South Africa was regulated by the Independent Broadcasting Authority (IBA), whereas telecommunications was regulated by the South African Telecommunications Regulatory Authority (SATRA). Rapid technological developments have led to the convergence of broadcasting and telecommunications services. This also had an influence on the convergence of regulation resulting in the merging of the IBA and SATRA. ICASA functions under the Department of Communications (DoC). It was initially composed of seven Council members. The ICASA amendment Act of 2006 included the Postal services, previously regulated by the Postal Authority into ICASA’s mandate. It increased the Council members from seven to nine to accommodate the new members from the Postal Authority. The Promotion of Administration Justice Act No 3 of 2000 (PAJA). ICASA is also an organ of state bound by the Bill of Rights (S8). The Act called for a new Broadcasting Policy that will, among others, contribute to democracy, development of society, gender equality, nation building, provision of education and strengthening the spiritual and moral fibre of society. The primary object of this Act was to provide for the regulation and control of telecommunication matters in the public interest. It sought, among others, to promote the universal and affordable provision of telecommunication services (Chpt 1). The Act established the South African Telecommunications Regulatory Authority, and this regulator shall be independent and impartial(Chpt II ). The substantive regulatory function of ICASA is pertaining to broadcasting, postal services and electronic communications sector. ICASA plays a concurrent function with Competition Commission of competition matters(Chapter 10). The Code and mechanism of the National Association of Broadcasters on content regulation has been approved by ICASA (S54(2)). ICASA strives to create a conducive and predictable regulatory environment to achieve the stated objects of EC Act of 2005, section 2 (S2). The Competition Commission and Competition Tribunal plays a complementary role or co-jurisdiction role with ICASA on competition matters within the electronic communications environment (s82 (1)). The Competition Commission holds an ex post jurisdiction over competition related matters. ICASA holds an ex ante and ex post jurisdiction over competition related matters. PAJA binds ICASA in its deciding functions and the Complaints and Compliance in their exercise of their administrative and judicial functions. According to Mr Paris Mashile (9 January 2007, p. 5) "…ICASA has been entrusted, full consultation and transparency are governing principles as prescribed by PAJA and the law dictates of administrative justice. In South Africa, the first radio and television broadcasts were done in 1923 and 1976 respectively. The first Broadcasting Act was promulgated in 1936 and it established the South African Broadcasting Corporation (SABC) solely for radio broadcasting. In 1976, the Broadcasting Act was amended to include television broadcasting. The SABC acted as a state broadcaster and was used as a political propaganda instrument of the government to support its policies. The SABC had monopoly over the airwaves even though there were some free-to-air broadcasting services in the former Bantustans. These broadcasting services (like Radio Bop, Bop TV, Capital Radio and Radio 702) partially overlapped from the Bantustan areas into certain parts of South Africa. Telecommunications was provided and regulated by a monopoly parastatal, the South African Post and Telecommunications (SAPT). In the late 1980s, certain aspects of the telecommunications market were liberalised. The Private Automatic Branch Exchange (PABX) and Value-added Network Service (VANS) markets were opened up to competition. In 1990 the Viljoen Task Group was appointed to investigate the future of broadcasting. At the same time the SABC initiated a process of internal restructuring. The restructuring was aided by the Jabulani! Freedom of Airwaves Conference which took place in the Netherlands in 1991. This conference made recommendations that set the terms of public debate. In 1991, Telkom SA Limited (Telkom) was established as a parastatal to undertake the provision of telecommunications services in South Africa. It separated from SAPT, which acted as an industry regulator. In the beginning of 1992, the Congress of Democratic South Africa (CODESA) started negotiations on the future democratic political dispensation of the country, the drafting of the Interim Constitution, the Local Government Transition Act and the establishment of the Independent Broadcasting Authority Act (the IBA Act). The IBA Act was designed to provide, among other things, for the licensing of commercial and community broadcasters (these were not allowed under the apartheid government) and for the transformation of the SABC from a state to a public broadcaster. However, telecommunications reform remained unaddressed at the negotiations and in 1993 the apartheid government proceeded to license two mobile cellular operators (Vodacom and MTN). After the 1994 elections, the National Telecommunications Forum (NTF), including government, business, labour, user groups and civic organizations was established as the key stake-holder forum which debated the Telecommunications Green and White Papers. South Africa’s telecommunications reform process culminated in the Telecommunications Act of 1996. The key aspect of this act was the establishment of an independent regulator, SATRA, to regulate the telecommunications sector. Telkom was also granted exclusivity to provide basic telecommunications services for a period of five years with an option for a further year of exclusivity should it meet its roll-out targets. On 1 July 2000, the Independent Communications Authority of South Africa (ICASA) was established. It was established as a single electronic communications regulator in the country in terms of the ICASA Act of 2000 merging SATRA with the IBA. In 2001, the second wave of re-regulation of the telecommunications industry took place with the passage of the Telecommunications Amendment Act of 2001. This Act introduced some far-reaching changes to the existing regime, for an example, the provision for the Second Network Operator (SNO) as of 7 May 2002. In August 2001, the Minister of Communications issued policy directions which were amended in April 2002, setting out the process in relation to the licensing of the SNO (Neotel) in broad terms. The third mobile cellular telephone operator license was issued on 22 June 2001 to Cell C. On 19 August 2002, ICASA issued new national Mobile Cellular Telephone Service (MCTS) licenses in terms of section 37(1) of the Telecommunications Act to Vodacom and MTN. In 2002, two new pieces of telecommunications-related legislation were passed, the Electronic Communications and Transactions Act (ECT Act) of 2000 and the Regulation of Interception of Communications and Provision of Communication-related Information Act (Interception Act). The ECA of 2005 was passed and came into effect on 19 July 2006. The Engineering and Technology Division is made up of the frequency spectrum and the radio monitoring departments. The main responsibilities include frequency and station license allocations, issuing of certificates and authorizations. The Licensing and Compliance Division is responsible for developing policy, issuing licenses and ensuring compliance in relation to the provision of broadcasting, telecommunications and postal services. The Markets and Competition Division is responsible for promoting competition, innovation and investment in services and facilities provided in the broadcasting, telecommunications and postal services sectors. The Complaints Division receives and addresses complaints from consumers and members of the public regarding communication services and products. The department intervenes or escalates these complaints to operators for resolution or to the Complaints & Compliance Committee (CCC) for adjudication. The Consumer Affairs Division is responsible for protecting consumers from unfair business practices, ensuring access to safe and good quality products, and protecting the interests of people with disabilities in relation to the provision of communications and postal services. The Legal Division is responsible for the litigation of regulatory matters. The Communications Division is responsible for the Authority’s corporate communications and international relations. ICASA is under the DoC with a council composed of nine members, the chairman and eight councilors appointed by the president with the recommendations from the National Assembly. Initially,the number of council members was seven and it was increased to nine as per the ICASA amendment Act of 2005 when the postal services were integrated to ICASA. The diagram below depicts the structure of the council. The licensing of the third mobile cellular network operator (MCNO), Cell C. In February 2000, a little less than five months before ICASA was formed, SATRA declared Cell C as a winning bidder of the third mobile cellular network operator. NextCom, one of the losing bidders, engaged ICASA in a number of court interdicts alleging that the decision to award Cell C was not fair and was influenced by the National Executive. In June 2001, NextCom withdrew from a judicial review that was ordered by the High Court allowing Cell C to continue its operations. ICASA's intervention on the use of the 1800 MHz frequency band by issuing the GSM 1800 license only to Cell C after the incumbent Vodacom and MTN threatened to go to court to claim the use of this band. The conversion of the VANS licenses issued through the repealed Telecommunications Act to the new ECNS or ECS licenses provisioned in the EC Act resulted in a court interdict where Altech challenged ICASA on its decision to exclude it on the list of the new ECNS licensees. Altech’s claim was that all the VANS licensees be granted the ECNS licenses as per the EC Act. The High Court judgment ruled in favour of Altech resulting in all the VANS licensees being granted ECNS licenses. The listing and unbundling of Vodacom shares raised a number of questions regarding the role and independence of ICASA as the sector regulator.Vodacom exercised its right as granted by the Electronic Communications Network Services license issued by ICASA to unilaterally sell its shares without the involvement of ICASA or Minister of Communications as it was the case in the previous licensing regime. This was not well received by the Trade Union, COSATU, which challenged the decision made by ICASA to clear the Vodacom share transaction.This transaction resulted in ICASA’s independence status being questioned as it was influenced by COSATU to rescind its initial decision allowing Vodacom to unbundle its shares. ↑ "ICASA, ICASA". Retrieved 2009-06-21. ↑ Woolman, S; T Roux; M Bishop. "Independent Communications Authority of South Africa (ICASA)". The Constitutional Law of South Africa: 24E–1–24E–16. ↑ White, Justine (September 2006). "Introduction: An overview of the South African Legal system and the history of Liberalisation and re-regulation of the South African Telecommunications Sector". Global Telecommunications Law and Practice. 13: 5201–5288. 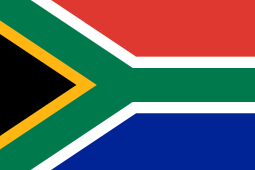 ↑ "Independent Communications Authority of South Africa, ICASA". Retrieved 2009-06-21. ↑ "ICASA Council & CEO, Council & CEO". Retrieved 2009-06-19. ↑ "ICASA Annual Report 2008, ICASA Annual Report 2008". Retrieved 2009-06-19. ↑ "ICASA Annual Report 2007 , Council Members". Retrieved 2009-06-19. ↑ "ICASA Annual Report 2006 , Council Members". Retrieved 2009-06-19. ↑ "ICASA Annual Report 2005, Council Members". Retrieved 2009-06-19. ↑ "ICASA Annual Report 2004 , Council Members". Retrieved 2009-06-19. ↑ "ICASA Annual Report 2003 , Council Members". Retrieved 2009-06-19. ↑ "ICASA Annual Report 2002 , Council Members". Retrieved 2009-06-19. ↑ "ICASA Annual Report 2000-2001 , Council Members". Retrieved 2009-06-19. ↑ "ICASA files answering affidavit in third cell phone court case, Cellular". Retrieved 2009-06-21. ↑ "Cellphone License Saga Ends With Cash Payout, Cellular". Retrieved 2009-06-21. ↑ "Implications of Altech ruling , South Africa Connect". Retrieved 2009-06-22. ↑ "Icasa won't oppose Vodacom ruling, independence questioned , Engineering News". Retrieved 2009-06-22.